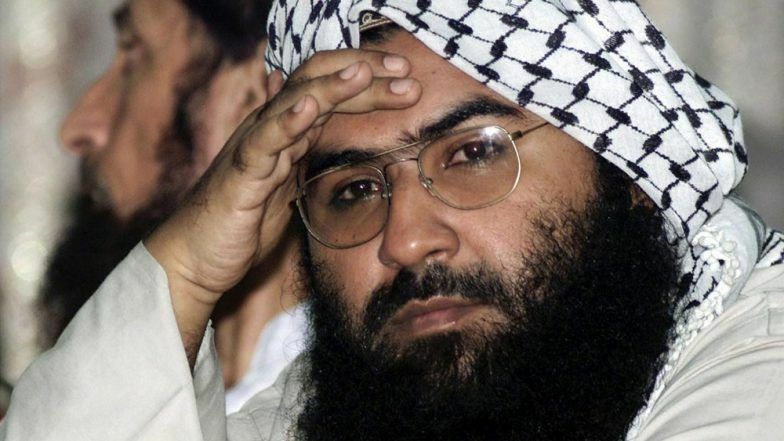 United Nations, March 28: Stepping up the international pressure to designate Jaish-e-Mohammed chief Masood Azhar as a global terrorist, the US, supported by France and the UK, has directly moved a draft resolution in the UN Security Council to blacklist the Pakistan-based terror group's chief. Two weeks after China put a hold on a proposal to list Azhar under the 1267 Al Qaeda Sanctions Committee of the Council, the US on Wednesday circulated the draft resolution to the powerful 15-nation Council to blacklist the leader of the terror group and subject him to a travel ban, an assets freeze and an arms embargo. UN sources told PTI that this is the "first time" the US, the UK and France have moved a draft resolution directly in the Security Council to designate Azhar. The previous have been listing proposals in the Sanctions Committee of the Security Council to designate the JeM chief. Unlike a listing proposal, which is generally under a 10-day no objection period, the draft resolution is not under any no-objection provision. India-Pakistan Tension: Blacklist Jaish-e-Mohammed Chief Masood Azhar, UK, US and France Tell UN Security Council. Reacting to Washington's move, Chinese Foreign Ministry spokesman Geng Shuang in Beijing said: "This is not in line with resolution of the issue through dialogue and negotiations. This has reduced the authority of the Committee as a main anti-terrorism body of the UNSC and this is not conducive to the solidarity and only complicates the issue". "We urge the US to act cautiously and avoid forcefully moving forward this draft resolution," Geng said. Mike Pompeo Accuses China of Protecting Violent Islamic Terror Groups From UN Sanctions. Sources in New York said that the draft resolution will be discussed informally and then it goes to the Council. However, it is not yet decided by when a vote would be held on the draft resolution, during when it could again face a veto by China, which has in the past blocked bids to blacklist Azhar. Sources said the draft resolution would condemn "in the strongest terms the heinous and cowardly suicide bombing" on February 14 in Jammu and Kashmir's Pulwama district that killed 40 CRPF personnel. In New Delhi, sources said, they were aware that a draft has been initiated for consideration of Council members to list Azhar in the sanctions regime as part of international community's efforts to fight against terrorism. "It will not be appropriate for us to comment at this stage on a process which is entirely within the parameters of informal discussion of the Council and its members," a source said. In Islamabad, Pakistan Foreign Office spokesperson Muhammad Faisal regretted the US circulated the resolution in the Security Council when the matter was under consideration by the sanctions committee. He said such efforts to circumvent the established process will only weaken the sanctions regime and undermine its integrity. "Pakistan is committed to fulfill its obligations under the UN sanctions regime," Faisal said. An annex to the draft resolution says Azhar is associated with the Islamic State terror group, Al-Qaida for "participating in the financing, planning, facilitating, preparing, or perpetrating" or "supplying, selling or transferring arms and related material" or supporting acts of the JeM. It says that Azhar founded JeM after his release from prison in India in 1999 in exchange for 155 hostages held on an Indian Airlines flight that had been hijacked to Kandahar, Afghanistan. It adds that Azhar was previously the leader of the terrorist group Harakat al Mujahadin, also known as Harakat ul-Ansar, and that most of these groups' members subsequently joined Jaish under Azhar's leadership. In 2008, JeM recruitment posters contained a call from Azhar for volunteers to join the fight in Afghanistan against Western forces. The Sanctions Committee makes its decisions by consensus of its members. However, for a resolution in the Security Council to pass, it needs nine votes in favour and no vetoes from any of its five permanent members - China, Russia, the United States, France and the UK. France, the UK and the US on February 27 moved a proposal to designate Azhar under the 1267 Al Qaeda Sanctions Committee. It was under the no-objection period and Committee members had a period of 10 working days to raise any objections to the proposal. More than a dozen member states had co-sponsored the proposal. About an hour before the no-objection deadline was to expire on March 13 at 3 PM, China blocked the proposal by putting a hold on it. India expressed disappointment by the outcome, saying in a statement "this has prevented action by the international community to designate the leader of JeM", a proscribed and active terrorist organisation which has claimed responsibility for the terrorist attack in Pulwama. Meanwhile, US Secretary of State Mike Pompeo made an apparent reference to China blocking the proposal when he said Wednesday that China abuses over a million Muslims at home, but "protects" violent Islamic terror groups from UN sanctions. The February proposal was the fourth such bid at the UN in the last 10 years to list Azhar as a global terrorist. In 2009, India moved a proposal by itself to designate Azhar. In 2016 again India moved the proposal with the P3 - the US, the UK and France in the UN's 1267 Sanctions Committee to ban Azhar, also the mastermind of the attack on the air base in Pathankot in January, 2016. In 2017, the P3 nations moved a similar proposal again. However, on all occasions China blocked the proposals from being adopted by the Sanctions Committee. A UNSC designation will subject Azhar to an assets freeze, travel ban and an arms embargo.